"Glory to God in the highest heaven,"
As Mary and Joseph adore Jesus aboard. 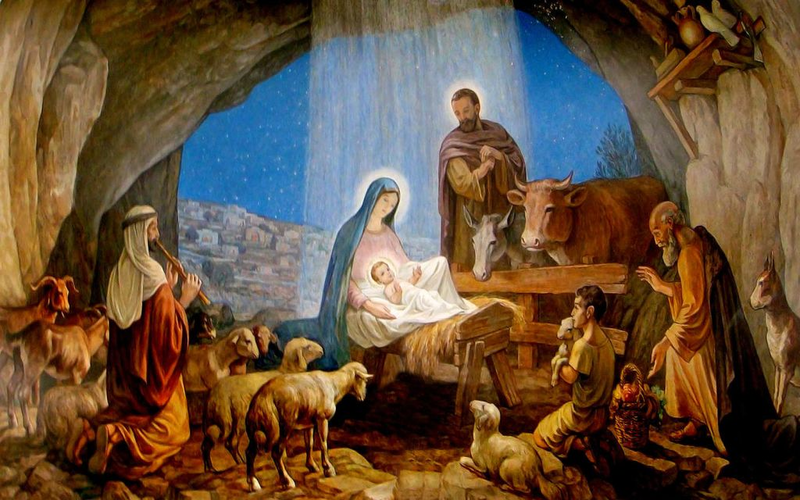 A King is born from the house of David! And now it is fulfilled, stars in their eyes! For today, Heaven daintily bordered earth! Of the world's fascination of fanciful! O' Messiah, the King of kings in hay. Since my King was once there, above!